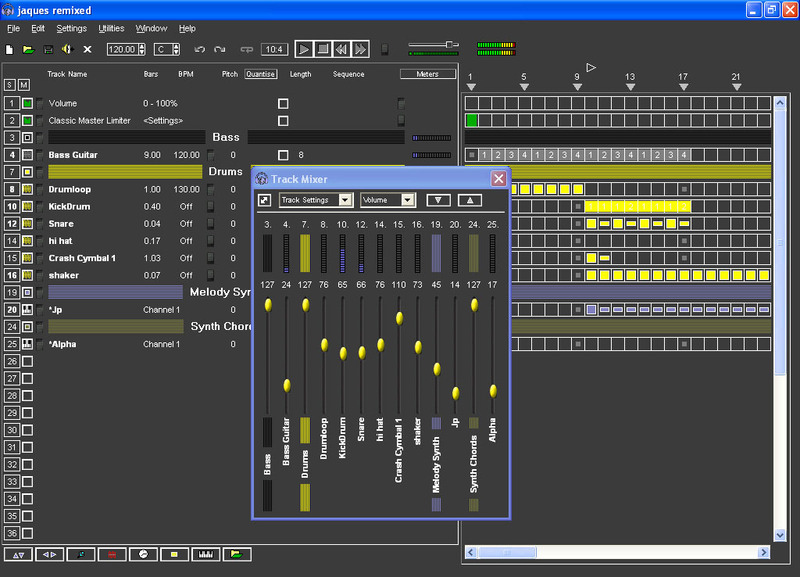 Making Waves is a music creation app or ‘sequencer’ for Windows PCs up to Windows 7. 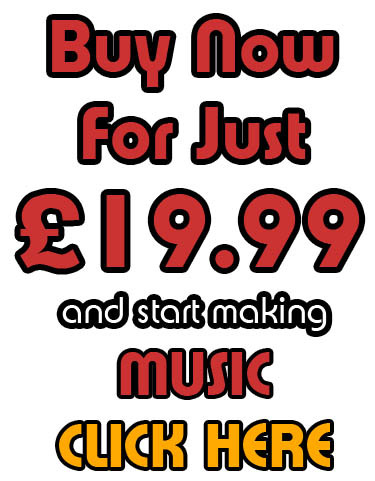 The package includes all the tools you need to produce your own music. Making Waves is the music sequencer of choice for thousands of producers Worlwide and has been used to create several UK number 1 hits. Making Waves products offer more functionality and performance per pound than any other virtual studio product. Let’s take a look at what makes MW so popular amongst musicians and DJs. The Making Waves Audio team has been together for fifteen years resulting in software that is streamlined, highly productive and intuitive to use. MW products are used worldwide by thousands of customers of all ages and abilities. Their feedback helps us shape the software’s features and development, and ensures our products are 100% suited to the needs of our users. “There’s nothing with quite the same blend of loop manipulation, pattern creation, audio recording and MIDI sequencing at a comparable price.” Sound on Sound magazine. MW has one of the most powerful high-quality sample engines available. MW AUDIO 5 supports ‘Floating Point’ playback and recording up to a maximum of 192KHz / 16Bit and will allow file conversion and export up to 32Bit. 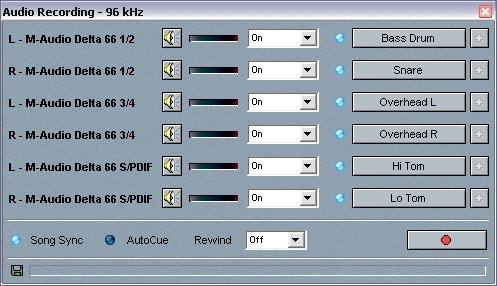 MW STUDIO 5 supports playback and recording up to 192kHz / 32Bit. All interim audio resolutions are also covered, so any audio device you have will be fully utilised. Both versions allow stereo recording and playback whilst STUDIO also supports multi I/O soundcards for multi-track recording and playback. Low Latency playback support is provided for all soundcards using our own proprietary audio buffering system so no annoying delay is experienced when playing virtual instruments even when using a lower spec soundcard. Integrated support for the ASIO driver standard is also included to ensure all hardware can be utilised to its full potential. MW can support up to 1000 tracks for sequencing, though a typical arrangement requires only a small percentage of the available tracks. Audio samples, audio loops, mp3s, virtual instruments and MIDI sounds can all be sequenced along with any effects that are to be used in the composition. 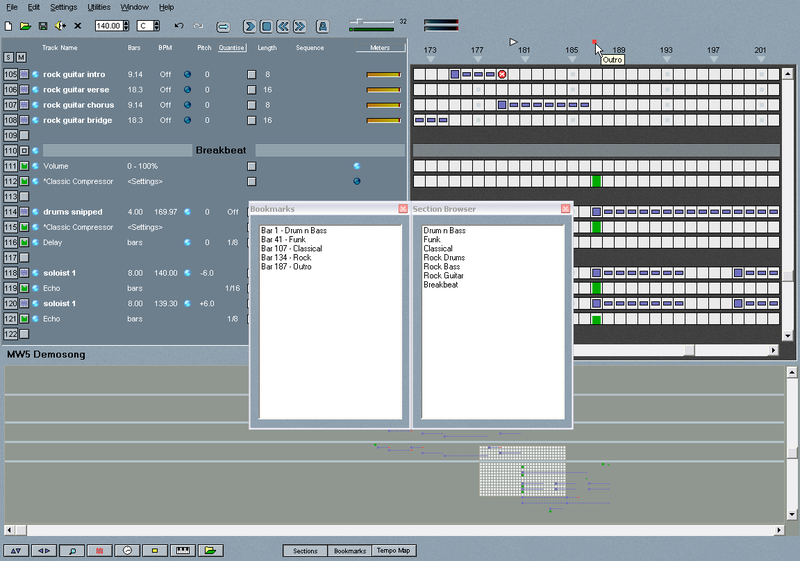 The MW sequencer has one of the quickest and easiest interfaces to master. Arrangements within the sequencer can be edited and changed during playback including the addition / removal of effects, note arrangement edits and overdubs giving the user total creative freedom and control over compositions. 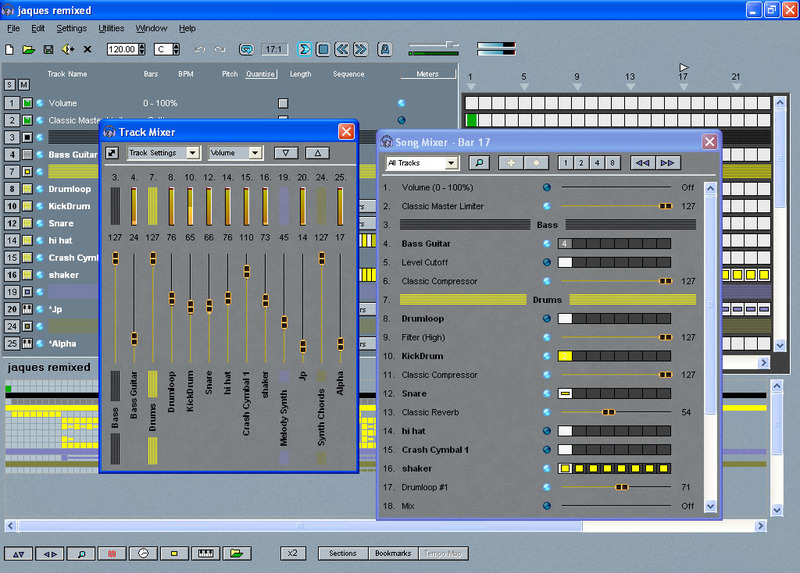 The Track Tools facility allows users to drag and drop in-progress audio projects from MW into other applications – for example into a dedicated audio editor for additional specialised processing. Both MW versions support 4 general sequencing modes- Single Play, Note, Percussion and Loop. A brief explanation of these modes can be found below. 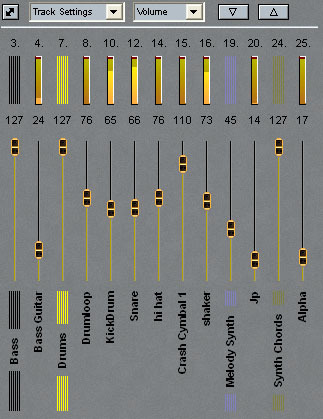 It is important to remember that any song arrangement can be composed using some or all of these modes simultaneously. MW also supports further creative sequencing options including: Beat Splicer & Cut-off, both of which are explained later on in the Product Tour. 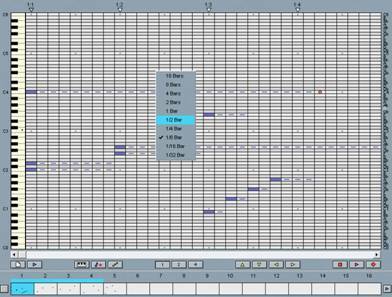 This can be any sound source and will be played back by the sequencer with no pitch or tempo correction applied. Perfect for adding sample sounds and effects. 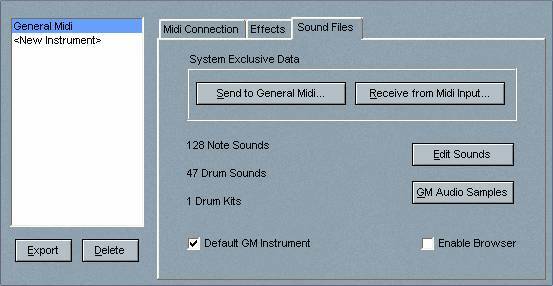 The MW note arrangement facility allows Wav, Mp3, Vsti, and Midi sounds/notes to be arranged over six octaves and provides total control over all the necessary parameters including envelope for attack, decay, sustain and release of audio samples. sequence will also capture the velocity of every note you play. A number of additional creative arrangement tools are also provided including an arpeggiator and chord toolbox, with presets to help boost productivity. 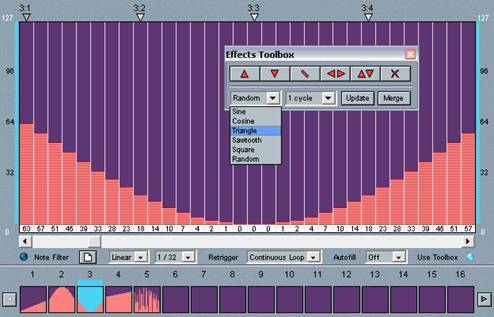 The MW percussion editor is a highly intuitive ‘step sequencer’ used to arrange original drum beats and breaks. Up to a 32 beats can be played in each bar. Sound sources can be Wav, Mp3, Vsti or Midi & control over all the necessary parameters for composition are provided. 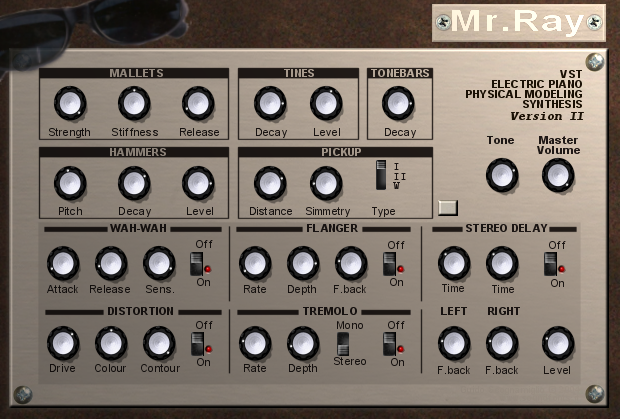 MW contains one of the most intuitive Auto Time-stretching / Pitch-shifting sample engines available. This allows any audio sample loop to be stretched or compressed to sync perfectly with the current composition with a single click of the mouse. Pitch shifting can easily be switched on or off allowing the user complete freedom to experiment during the creative process. MW products support standard VST Instruments. 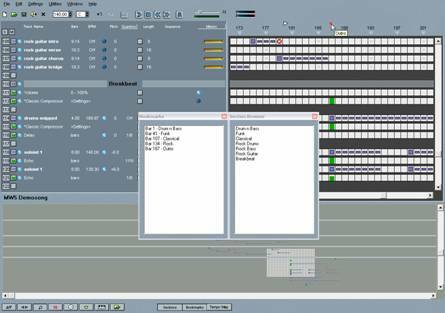 The speed and flexibility of the onboard VST automation makes the creation of complex parts a purely musical process. New presets can be saved and recalled with ease from the file browser. 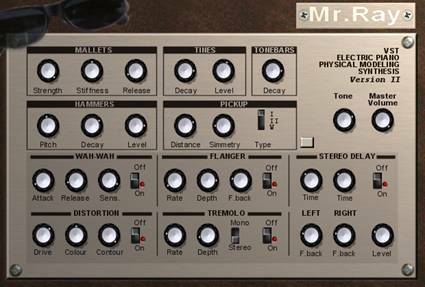 Additional support for hardware controllers makes MW the most flexible and creative VST instrument host available. A broad range of quality instruments are included with each version of Making Waves. Both versions of MW allow the loading, playback and editing of standard MIDI files. 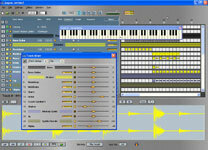 MIDI files can be remixed using different source sounds and effects including audio samples. Support for multiple midi devices is also built in allowing MW STUDIO 5 to fully integrate with all new or existing midi compatible hardware. 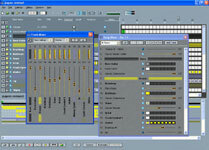 MW STUDIO 5 offers a user configurable midi environment in which external hardware such as midi synths and drum machines can be hooked up to the MW sequencer. Exclusive buttons let you receive or transmit ‘sysex’ data to or from your chosen midi device/instrument. Midi clock and MTC are also supported allowing you to send a timing signal to selected external devices. MW STUDIO 5 also supports the Yamaha XG standard for midi effects and voices including all DSP audio effects as found onboard the SW1000XG soundcard* and other XG devices. Easily put your note sequences in time with the track quantise option. Each track can have its own non-destructive quantise setting allowing the user to experiment with different types without permanently changing a part. Digital effects can be applied to individual tracks and sections of a song. 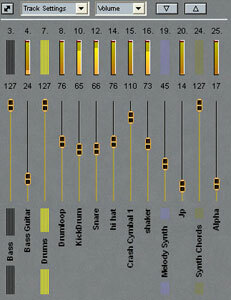 Master effects such as a global EQ setting can be applied to the whole arrangement. Choose from the vast array of professional effects included or use any VST or DirectX plugin for unrivalled flexibility. Any effect parameter can be automated up to a maximum resolution of 1/384th of a bar! Export your song as .wav audio file for burning to audio cd or choose mp3 to distribute your music over the internet. You can also export a midi file or save as a Making Waves Song for further editing / archiving. The MW sequencer will allow the insertion of tempo changes at any point in your arrangement. Ideal for classical and film music, this is also very handy for creating DJ mixes containing several songs of differing speed. This essential tool allows instant fade-in and fade-outs to be applied with one mouse click. Use it on any effect track for a smooth transition between levels. Ultra easy-to-use mixer panels provide volume level and stereo panning controls. Every fader can also be automated to change throughout a song. 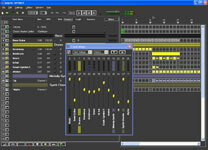 MW includes an onboard wave editor that can be used in real-time for general audio editing tasks. Start and end points can be changed on the fly allowing quick and easy original loop manipulation. 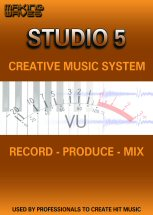 The world’s most creative music software! So easy to use ANYONE can make music, yet so powerful it is used by professional musicians – UK number 1 hits were produced with this software! Record, Sequence, Effect, Mix, use VST plugins, Remix TODAY! 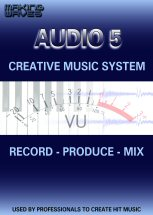 Any audio source can recorded into MW AUDIO 5 via the line in or mic in of your computer’s soundcard. MW STUDIO 5 also supports multi-track recording up to a maximum of 8 simultaneous tracks. This is ideal for use with multi-channel soundcards and in particular offers a great platform for recording bands etc. where more than one ‘live’ instrument and or vocalist needs to be captured at once. Various recording methods are available to the user. For example, a vocal can be captured over a backing track using ‘song sync’ or drums could be played in time to the metronome. The ‘auto cue’ method is great for creating short phrases or ‘hits’ and will feel very familiar to users of hardware samplers. Ever heard something and then thought ‘that would have made a great sample’? In buffer record mode MW is constantly recording a preset amount of audio. Switch on the ‘Rewind’ option, so if you wish you’d recorded something but didn’t hit record in time, MW will have captured it for you. Just hit the red button to save as a .wav file! Great for capturing useful samples from movies etc. The modulation characteristics of any sample loop can be used to form a ‘groove’ for effect sequences. For example the feel of a drum loop can be applied to a distortion effect on a bassline, improving the groove of your song with minimum effort. Making Waves ‘BEAT SPLICER’ facility breaks samples down into their component parts over a timeline and allows the user the to re-construct the sample in any order they wish. 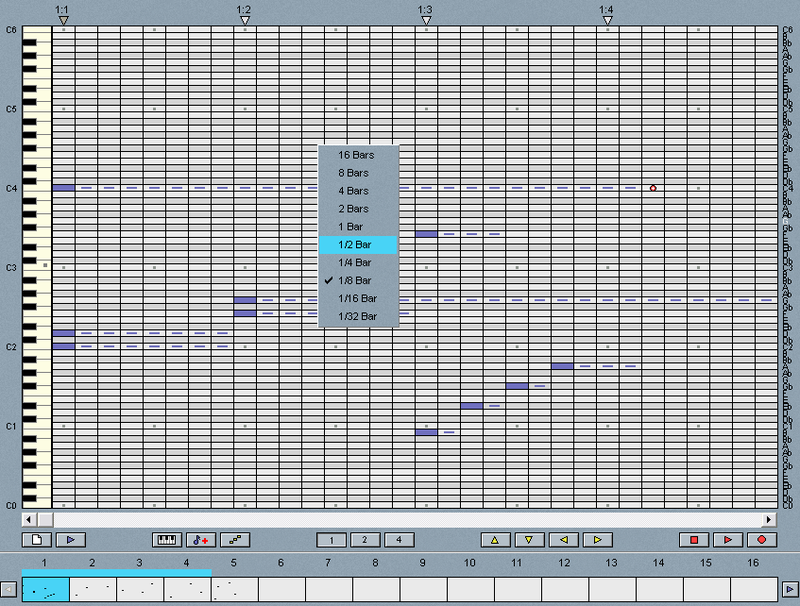 Bar editing can be carried out directly in the sequencer window and allows audio already loaded into the sequencer to be re-arranged a bar at a time e.g. bar 1 of a 4 bar loop could be repeated 4 times instead of simply playing back bars 1,2,3,4 in sequence. Any bar can be played back in any order – great for adding minor changes to musical events. This very simple yet highly effective tool allows silence patterns to be applied to audio samples and sequences. No tool makes it easier to create this powerful ‘break-beat’ effect. Sample sets can be created with ease by placing samples on different notes of a keyboard. A single click will automatically load a folder of samples across the keyboard in the correct pitch order. This is also great for creating percussion sets or entire drum kits which can be saved and recalled into any song. This facility calibrates any changes made during playback with the tempo of the song. 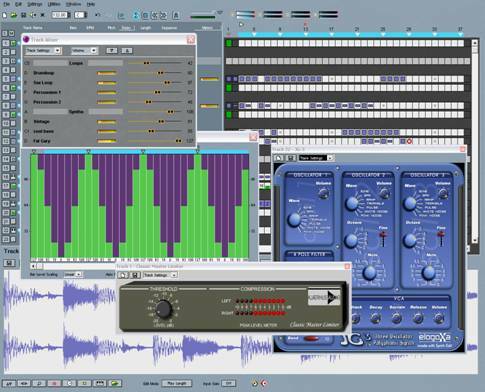 Numerous samples can be loaded up simultaneously without interrupting the music. Any changes made, such as edits and manipulation of effects will be heard on the first beat of the bar, regardless of how well you timeyour changes. Ideal for DJs and remixers, this tool allows you to manually set your song BPM for imported audio files, e.g. songs recorded from vinyl. These will then be synchronised to any additional tracks added to your mix. 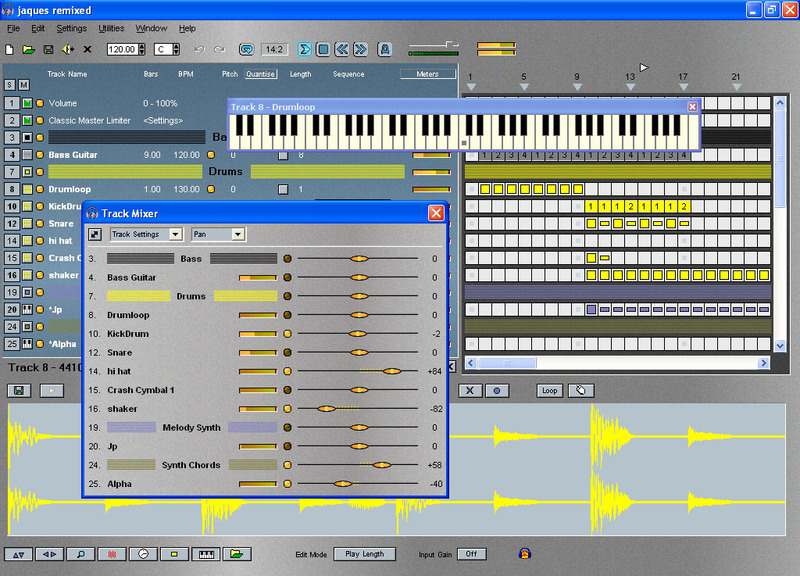 The ease with which songs can be created and expanded quickly fills the computer screen, so as with most music software, it becomes impossible to see all the tracks at once. To prevent confusion in larger projects, MW allows the user to categorize tracks into colour coded ‘sections’ and name them accordingly (e.g. drums, vocals, synthesisers etc.). Additionally,’book-marks’ containing descriptive text can be added at different time points throughout the song. The zoom control allows the entire song to be viewed graphically. Making Waves’ user interface can be customised to suit any taste or application. Using the tools provided, users can change colours and bitmaps as they wish. A selection of example ‘skins’ is included and additional files can be downloaded. Recommended: Pentium Dual Core with 2GB Ram if you are planning to run a lot of VST instruments and effects. THE SPEED OF YOUR SYSTEM WILL AFFECT THE NUMBER OF ACTIVE AUDIO CHANNELS AND PLUGINS THAT CAN BE RUN SIMULTANEOUSLY. MANY VST EFFECTS & INSTRUMENTS DEMAND FAR MORE SYSTEM RESOURCES THAN THE MAKING WAVES HOST PROGRAM. * Additional Yamaha SW1000XG soundcard or XG compatible hardware required. All contents Copyright 2011 Making Waves Audio Ltd. No part of this website may be duplicated without permission.